Andy Murray has delayed his comeback from a hip injury. John McEnroe expects Andy Murray to battle past his hip problem and play at Wimbledon this year but has warned the Briton that he faces a tough test against hard-hitting opponents. 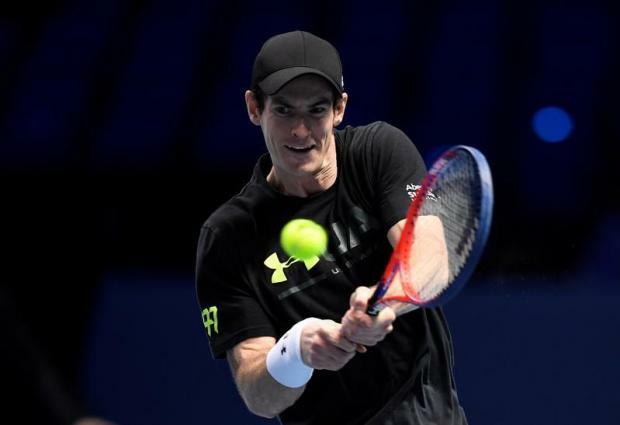 Former world number one Murray has not played a competitive match since losing in the Wimbledon quarter-finals last July and is on the mend after undergoing hip surgery in January. The 31-year-old withdrew from this month's Rosmalen grasscourt tournament and could also skip the Queen's Club competition as he aims to return for the third grand slam event of the year, which kicks off on July 2. "He's gonna play because he loves to play," McEnroe told British media. "But I'm sure he would be realistic about what he could do if he did play. It would be tough to go a long way if he hasn't played. "I had some hip issues... It's not a good feeling, particularly when guys are hitting it harder than ever – even when I was playing... If you are not feeling quite right, it can be tough." Seven-times grand slam winner McEnroe says Murray will keep fighting to reclaim his position in the sport even if the three-times major champion risks "semi-humiliation". "You keep giving yourself reasons as to why it's worth it, the upside. You know, it's worth taking semi-humiliation. You're still out there doing something you love, in a way. You're not as good as you were," the American said. "I'm not even saying he won't be (as good as he was). I don't know what will happen, but it will be pretty tough to come back and be better than he was..."
McEnroe, 59, compared Murray to Swiss ace Roger Federer and Serbian Novak Djokovic to highlight his point that some top players fully recover from serious injuries while others struggle. "Everyone's different. You go from the extreme of Roger (Federer) being able to pull it off to... Novak (Djokovic), who doesn't seem like himself yet and that's been the better part of almost a couple of years now," McEnroe said. "There is no way to know... It's a year. That's a long time."